Chelsea striker Alvaro Morata will be presented as an Atletico Madrid player in the next few days, it has been claimed. 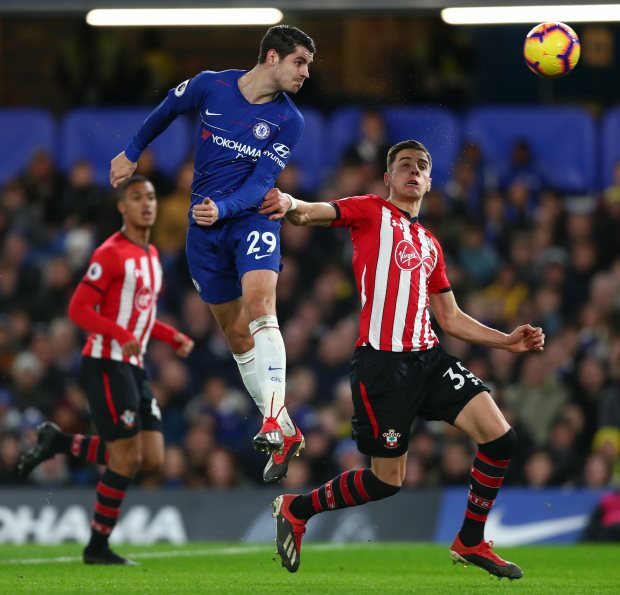 Morata is out of favour at Stamford Bridge and the Blues are prepared to show him the door to make way for Gonzalo Higuain, who is expected to join on loan from Juventus. Los Rojiblancos are now claimed to have their man with Morata, according to COPE's Tiempo de Juego, agreeing a move to the club. Atletico Madrid are now preparing to present Morata within the next few days. It is also claimed that Barcelona were in the hunt for the striker's signature, but Atletico Madrid beat off he Blaugrana to land the Chelsea man. Chelsea paid big money to sign Morata from Real Madrid in 2017, but he has struggled to make an impact in English football. The Spaniard has scored just five goals in the Premier League so far this season and has managed just 104 minutes of football in Chelsea's last eight league games.